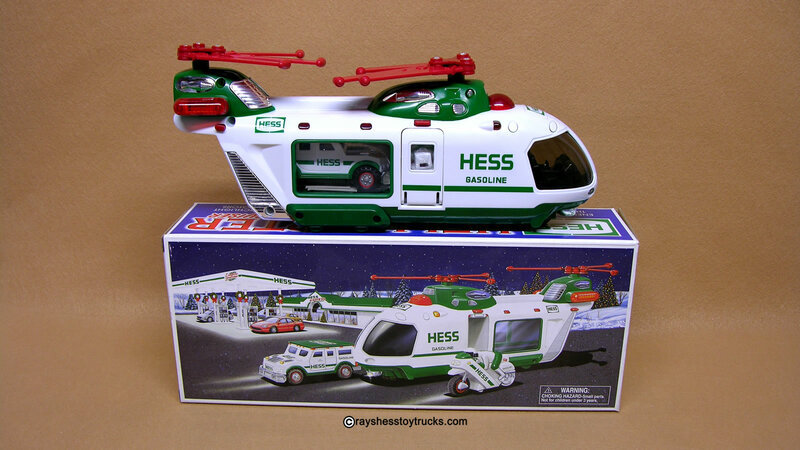 Complete with helicopter, box and all packing. 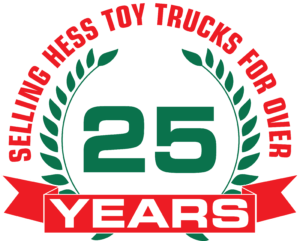 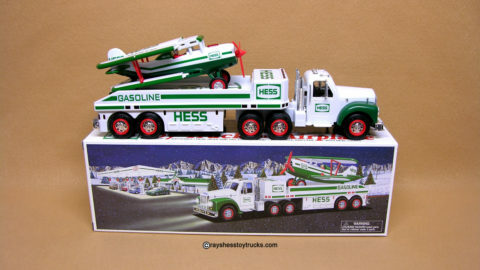 The truck measures about 12″ in length. 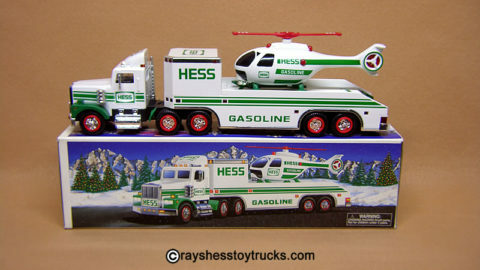 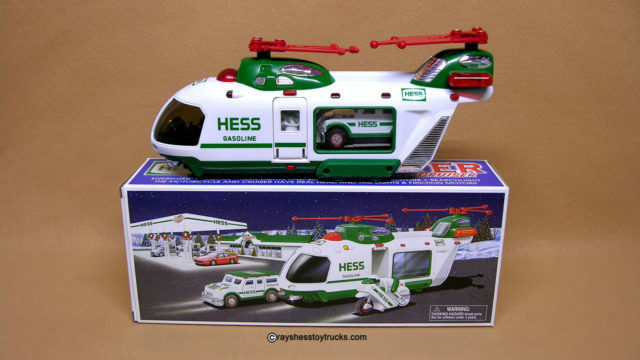 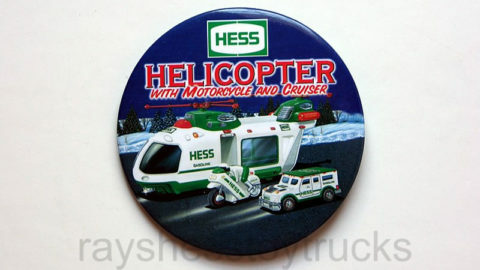 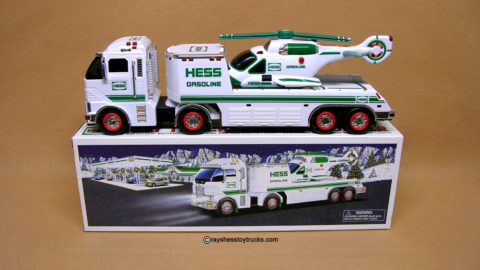 Hess has taken to the air once again with the 2001 Helicopter with Motorcycle and Cruiser. 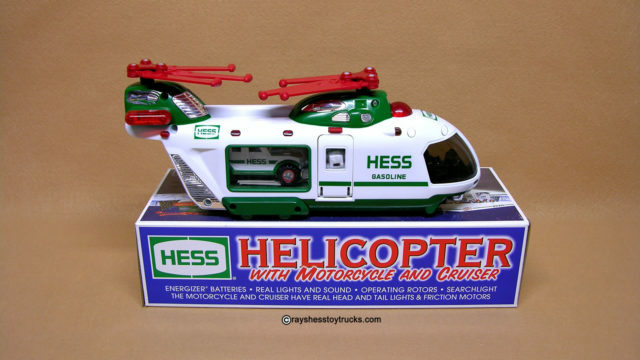 The helicopter features working head and taillights, a searchlight, and rotors that really spin. Motorcycle and cruiser have real head and taillights, and friction motors to zoom into fun. The battery compartment is clean and all the lights are in working order. 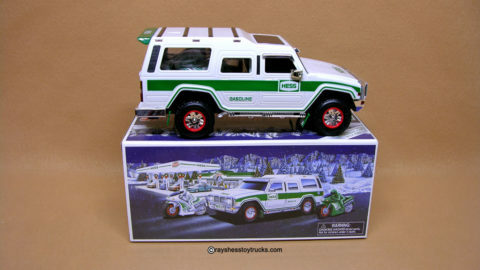 Box is also mint with bright graphics and complete with all packing. 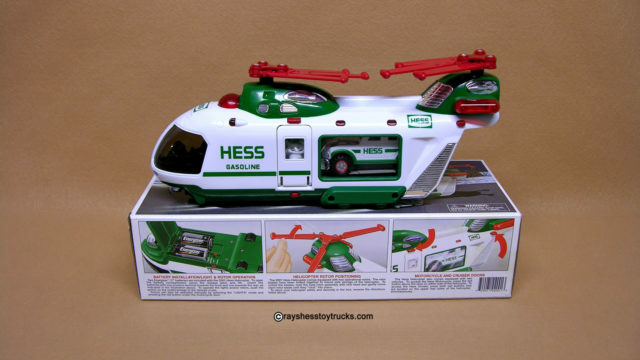 The helicopter measures approximately 12″ in length.